THIS YEAR'S CLEAN-UP - PARK IS NOW 'SPOTLESS"! WE'RE NOW READY FOR THE TREE SWALLOWS! 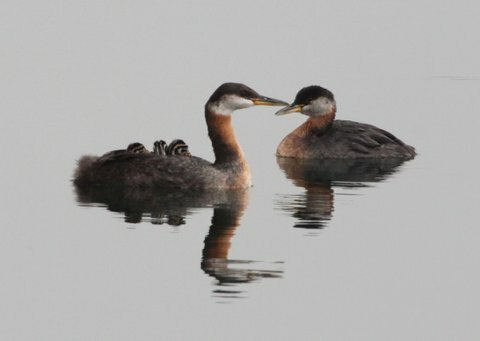 THE RED-NECKED GREBES ARE BACK - "MATING DANCE"